Claim your best winnings on the most luxurious slot game you’ll ever come across – Rebet Splendour! Get pampered by the lovely damsel and gentlemen right here! 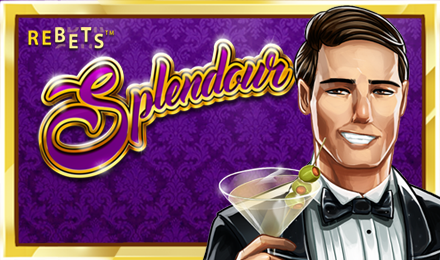 Experience a life of luxuries on Rebets Splendour Slot! This incredible 5 reel, 25 payline game will allow you to re-spin individual reels in case no winning combinations are formed. This will allow you an extra chance to get improved winning combos, plus a multiplier of up to 46x! Sail on a luxury yacht or fly on a private jet to discover the riches found on the reels. Earn up to 25 free spins when the Free Spins feature is initiated. This amazing feature can be retrigger up to 15 times for more riches!